Breaking news everyone: I’ll be taking part in #Blogmas this year! I participated last year but I definitely think this year, my content and photography has improved so I want to showcase that. 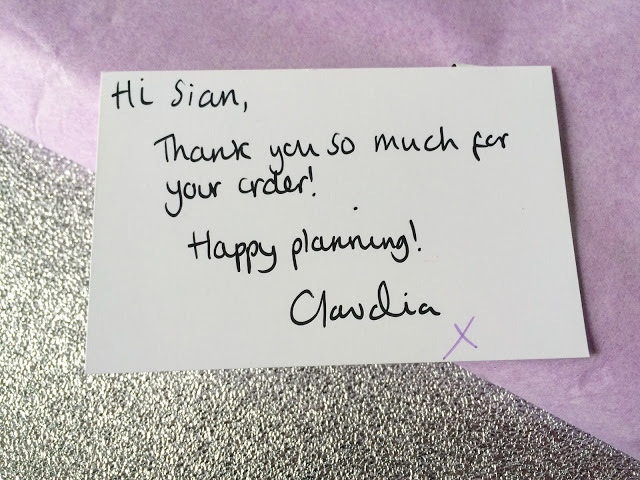 To me, the key part of Blogmas is making sure you get organised in advanced. Now we have just over a week to get plans in place. 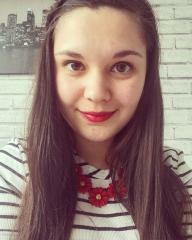 For me, the best way to do that is to write things down. I’ve been looking for a blog planning notepad for a while as notebooks just don’t seem to work. I like to be able to see everything visibly on the page. I came across Paper Chic Co on Twitter and saw she was having a sale. Now if you know me, you will know I love a bargain! 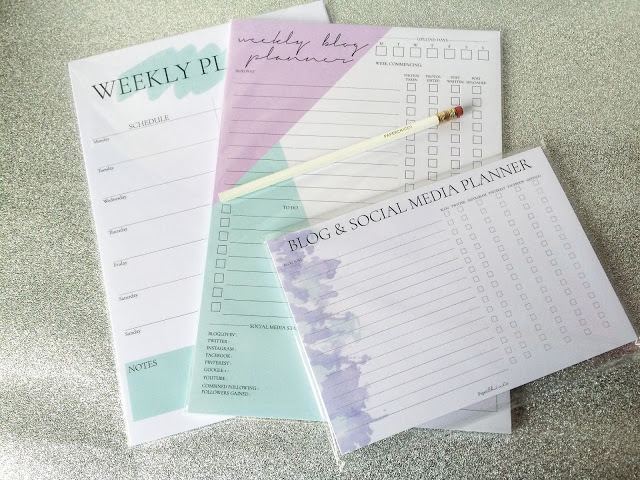 For just over £10, I got these three planner pads plus a super cute free pencil. I know that a lot of people use Excel spreadsheets to plan blog posts but I am old-fashioned and tend to go for good old pen and paper. I tend to plan in pencil first so that should anything crop up, it can be changed without too much hassle. 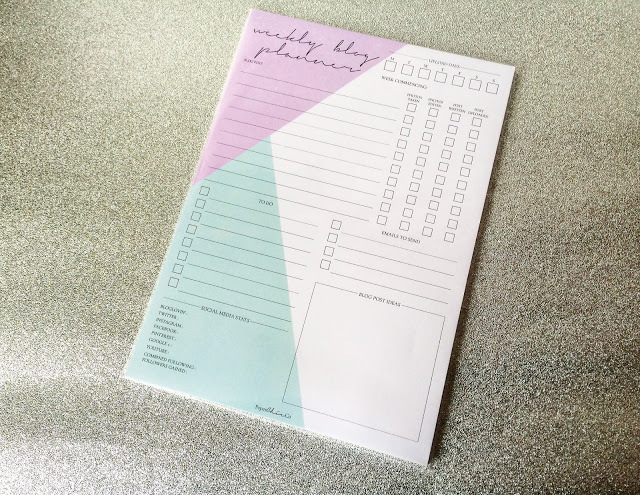 First up is this generic weekly planner. I will be using this purely to plan my workouts as I plan them around working and blogging. I’ve bought these sorts of pads before but they always too patterned and you can’t always see the pen once you write on them. This one is minimalistic and chic. The mint green makes it look expensive and there’s enough space for me to write what workouts I need to do each day. 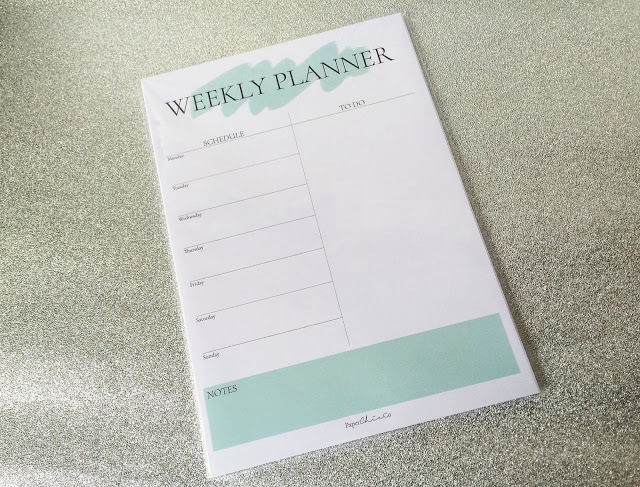 Next up is the weekly blog planner. This is great for me to be able to see if I’m doing everything possible to boost my blog posts. I love that there’s a stat section at the bottom for the week. Everything is set out to maximise your time. 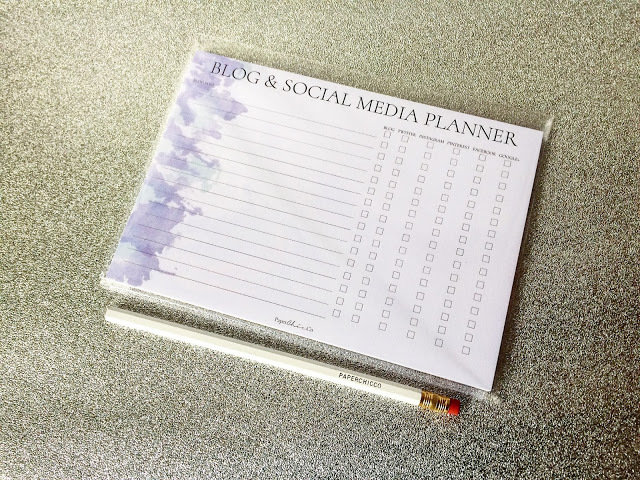 Finally I got the blog and social media planner. Now I promote a lot on Twitter but I usually forget about other forms of social media. I’m always forgetting to post on Instagram and I need to start making use of Pinterest more (currently I just pin photos of capsule wardrobes and make-up ideas). It will be so satisfying to tick off every blog post when it’s been promoted! I also love the handwritten note that was sent with the package. This is the reason that I buy from smaller online stores because the customer service is second-to-none. I was informed at each stage of the process about my order which is rare from a larger company! 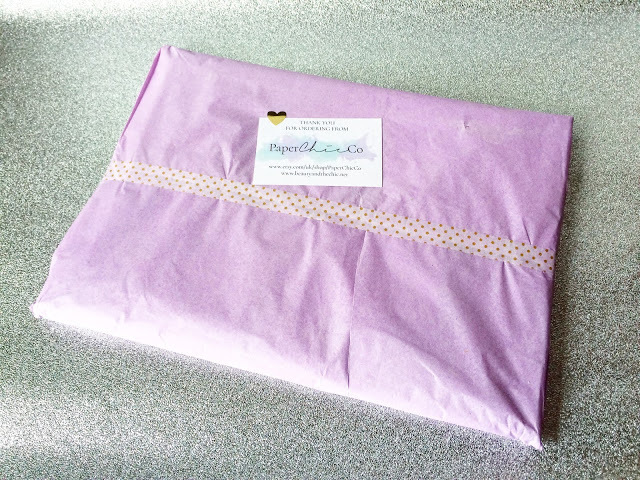 If you want to check out Paper Chic Co, you can do so here. I highly recommend having a nosy on her site; you will not be disappointed!